Not Verified | The most chaotic airport, not at all up to international standards. Absolute lack of infrastructure creates hassled customers and staff, no proper queuing systems in place and no effort to get things in place. No internal direct connectivity between international to domestic transit. "The worst I have seen"
Not Verified | Having travelled to many countries both in Asia and Europe I can vouch that Chennai Airport both the Domestic and International terminals are the worst Airports in the world as far as service, cleanliness, facilities and rude service staffs are concerned, however the immigration as well as the Airport security staff treat passengers without the slightest human dignity. The worst I have seen, rude, conceited and sheer display of arrogance on travelling passengers. 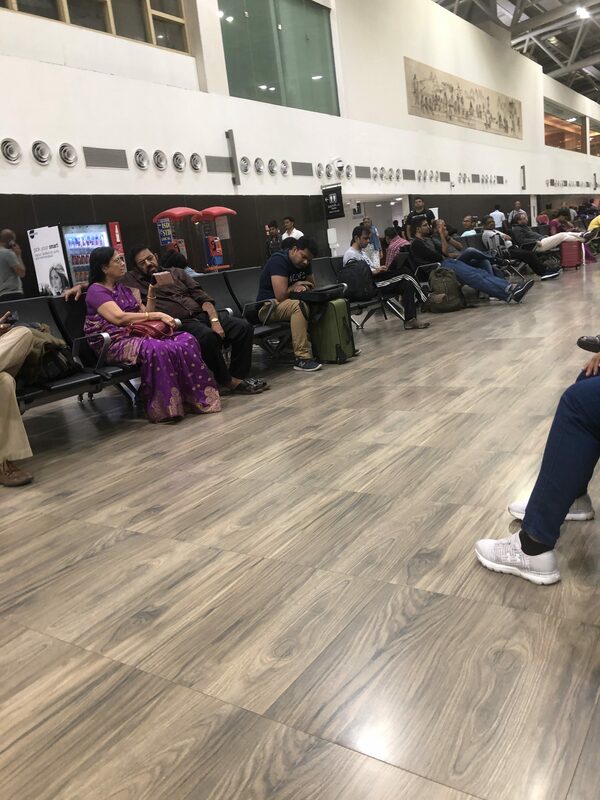 My advice to travellers avoid this Chennai Airport when traveling to South India Cochin or Bangalore Airports are better alternatives. "not up to International design"
Not Verified | The airport is not up to International design. I saw so many mosquitoes near the food court area close to gate 18. Toilet doors are very dirty and overall it’s such a bad sirport as compared to Mumbai, Bengaluru or Hyderabad. 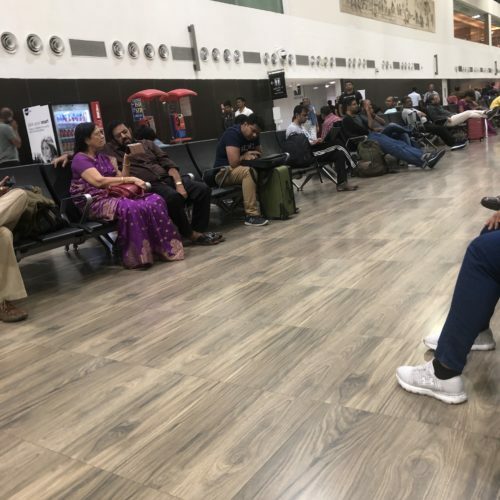 Chennai churns out millions of engineers who go abroad and work but alas, could not use their mind to design a good functional airport. What a shame. ✅ Trip Verified | Gents toilets are so dirty at Domestic airport. Very bad housekeeping by Airport Authority all across the airport. 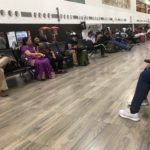 Probably the worst airport in any Indian Metro. 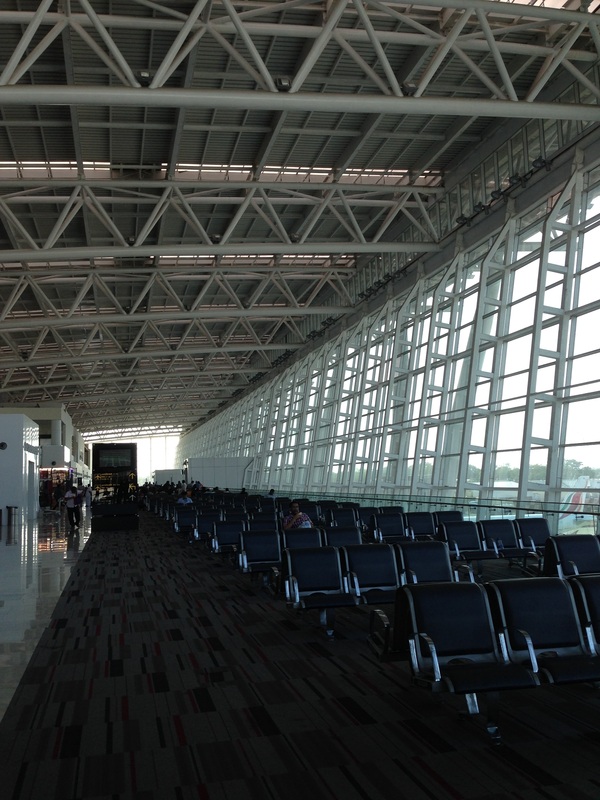 There is no signs or good walkway to come from international Terminal to Domestic Terminal. Not Verified | I had missed my laptop in the security check, took my bag but did not take my laptop. The next day, when I called the airport officer, he immediately checked and reverted back that there is a laptop with the brand and serial number I mentioned. It was a big relief for me. Appreciate that Chennai Airport has such sincere people. "the crowd keeps piling up"
✅ Trip Verified | Extremely crowded at Security Check. 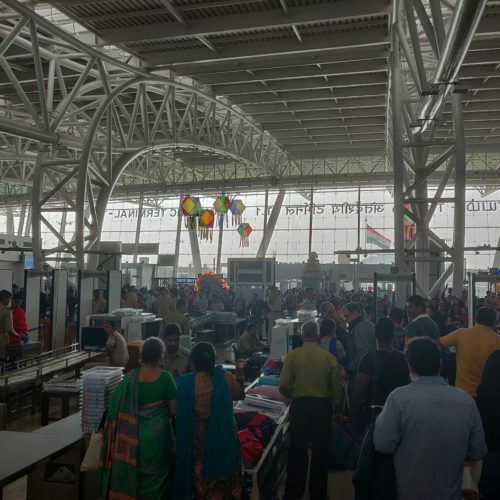 CISF Staff at the airport who are responsible to do security check are totally unconcerned about the long queue and waiting passengers and do all their work so slow that the crowd keeps piling up. ✅ Trip Verified | Hopeless airport for people who are in transit. There is no proper service to move from domestic to international and from international to domestic. People will face a tough time because it is approx 2 kms between them. Trolleys are not allowed, so people with many pieces of luggage will have an impossible time. Your only option is battery car that is again hard to catch. All the best if you happen to land in this airport, of course it wouldn't be a happy journey once you arrive at this airport! Not Verified | I transited in Chennai on our flight from Colombo to New Delhi on AI 043. The transit facilities were a complete mess and were reminiscent of the way thing were done in India in the 1970's. As we deplaned there was no dedicated signage for transit passengers. Airline staff were shouting down the corridor asking transit passengers to various destinations to form up on either the left or right of the corridor. 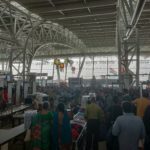 We were all, including aged passengers then led at a fast pace to a point where we emerged at a point leading to the security check area for passengers starting their journey in Chennai. This is totally ridiculous as all transit passengers had already been security checked at their originating airports. 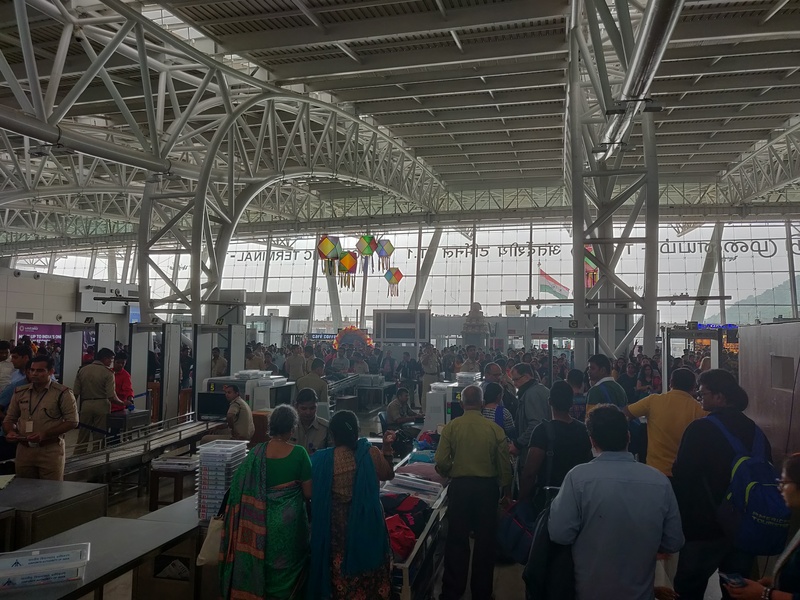 The X-ray belts are very short and given the number of passengers the queues were taking very long to be security checked, as a result of which the belt out of the X-ray machines were jammed with baggage waiting to be picked up by pAssengers who were waiting to be body searched. All in all a painful experience for passengers and staff. There should be a way for transit passengers to be taken directly to the departure gates. "there was no proper signage"
Not Verified | Signage at the immigration area was a disaster on my last trip. The airport was divided into 3 sections OCI holders/Indian Passport Holders, Foriegners, E-Visa Holders. The queues for the latter two sections were super long and there was no proper signage. People kept going between queues, unsure of which one they should be in. There was only one person manning the snaking queues for the foreigners. And he selectively advised people where to go. At the end many people spent an hour waited in the wrong queue only to be told to join another queue at the end of it. Confusion was one thing. The manners of the immigration officers were non-existent. The officer at my queue was bullying a bunch of Korean passengers who seemed to be in Chennai on a work trip from Hyundai. He screamed and yelled in English so loudly at every one of them knowing that they couldn’t understand him. That alone took an 15 mins. I also noticed that he was asking everyone for additional information not asked for on the immigration card, as if we were supposed to have put it in and didn’t. He sent a few people to the immigration office after much scrutiny on their visa and passports and company letters for further checking. But when it was the turn of the boss, a westerner, of those people he sent for further checking at the special office came up, he let him go. But this time with his voice toned down by several notches. Mind you those folks had already waited for an hour in line. Every one in that group had the same documents. They all obviously came for the same meeting. My treatment was no exception. But because I have been traveling to Chennai for over a decade and at high frequency for work. He couldn’t scrutinize my documents too much. Still he asked for local contact name and number. And asked me 3 times where I worked and what our company did. I could tell he had no clue what I was saying - technology is beyond him. But he had to ask over and over again anyways. I breezed through in 5 mins. The luckiest one on the queue. The worst experience I’ve had. If I was a tourist, I would never come back here again just because of the treatment by the immigration. 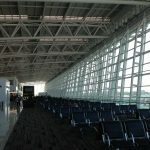 "immigration officers could be a bit kinder"
Not Verified | I have been visiting Chennai over many years and have noticed the significant improvement in the service and airport building. However, as a tourist coming on holiday I believe immigration officers could be a bit kinder. On my visit this year the immigration officer chucked my passport in my face as my form was not filled out with the correct ink colour. There was no need to act like that. When I went to Kerala their immigration was very friendly and welcoming which I think encourages more tourism.